Every day in communities around the nation, the FBI works with its state and local partners to identify and arrest criminals who threaten public safety—including terrorist groups, violent gangs, drug trafficking enterprises, and producers of counterfeit pharmaceuticals, auto parts, and airplane parts. 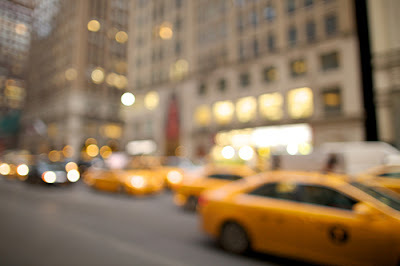 Most recently, the FBI, in conjunction with the Inspector General for the City of Chicago, conducted an investigation into a fraud scheme that involved the illegal use of salvage vehicles as taxis on city streets—a scheme that potentially put the riding public at risk. Last month, Chicago auto broker and taxicab operator Alexander Igolnikov was sentenced to a federal prison term after previously pleading guilty to conspiracy to transport, receive, and possess a counterfeit security—in this instance, that “security” was an illegally obtained clean vehicle title for a salvage car. A vehicle can receive the “salvage” designation—usually from a state motor vehicle agency—for a number of reasons, including having been stolen, vandalized, in an accident, in a flood or other natural disaster, etc. And once a salvage title is issued, there’s often no legal mechanism to obtain a “clean” title for the same vehicle. But there are illegal mechanisms, and that’s just what Igolnikov and several associates used to get rid of the salvage designation. In his plea agreement, Igolnikov admitted to running a scheme from 2007 through April 2010 that involved buying significantly damaged vehicles with salvage titles from online auction sites. He purchased the vehicles in the name of the business he owned—Seven Amigos Used Cars—and had the vehicles towed to the Chicago address that housed Seven Amigos and a company called Chicago Carriage Taxi. Once there, the cars were repaired. In the meantime, several of Igolnikov’s associates worked on taking care of the salvage designations on the purchased vehicles by submitting fraudulent paperwork to the nearby Indiana Bureau of Motor Vehicles in an effort to obtain “rebuilt” titles. Under Indiana law, a vehicle that had been issued a salvage title could be repaired and issued a title with a rebuilt designation if the vehicle was examined by a law enforcement officer who certified that the vehicle had been repaired properly. Igolnikov’s associates submitted paperwork purportedly certifying that an officer had examined their vehicles and that the repairs conformed to Indiana law, but in reality, no officer ever examined their vehicles. For Igolnikov’s scheme to work, though, the rebuilt title was not good enough. Chicago’s city rules would not allow a vehicle with either a salvage or rebuilt title to be approved as a taxicab. So he and his associates took it one step further: They placed a sticker, usually one purporting to be from an online auction, over the “rebuilt” section of the Indiana title to conceal the fact that the title had a rebuilt certification. They then used that title to obtain a clean title from the Illinois Secretary of State’s Office. Armed with the clean title, Igolnikov could apply for a license to operate the vehicle as a taxicab in Chicago. And for approximately three years, he and his associates operated approximately 112 salvage—and potentially unsafe—taxis on Chicago streets. But the scheme was ultimately uncovered, and as a result of the close working relationship between the FBI’s Chicago Field Office, Chicago’s Inspector General, and the U.S. Attorney’s Office for the Northern District of Illinois, the individual responsible was identified and brought to justice.